Another speaker will address culinary inclusion! Jonathan Neff is the CEO and Head-brewer of New Era: Fine Fermentations, a dedicated gluten-free brewpub. He holds a B.A. of Chemistry from the University of Tulsa and a M.S. of Nanotechnology from the University of Barcelona. Specializing in inorganic nanoparticle synthesis, he was pursuing a second graduate degree at Cornell University before dropping out and turning a passion for brewing into a career. Jonathan was diagnosed with celiacs disease leading him to focus his scientific background on developing craft beer that happens to be naturally gluten-free. When he's not experimenting in the brewery Jonathan enjoys studying Wing Chun Kung Fu and Xing Yi Boxing, he's also an avid skateboarder and is an active member of the Tulsa Young Professionals group. Another speaker will talk about saving money through taxes! Brandy Barnes Marion is a Senior Vice President and the Manager of Education with Institutional Wealth Management at BOK Financial. In this role, Brandy coordinates a team providing all aspects of employee retirement planning education, including comprehensive educational needs assessment, campaign design, campaign management, and direct education delivery. Brandy is a qualified licensed financial consultant and holds the Chartered Retirement Planning Counselor certification from the College for Financial Planning. A native of Oklahoma, Brandy graduated from Oklahoma State University with a Bachelors Degree in Business. She previously owned a business in Owasso for 10 years and is an active member of the community. She is a graduate of Leadership BOKF, Leadership Owasso, and was the 2001 volunteer of the year for the Green Country YMCA. Another speaker will talk about the use of debate in education! Michael Haskins is the Program Director for the Tulsa Debate League. He has a Master’s degree from Oklahoma State University and over a decade of debate experience. As Program Director, he supports speech and debate programs in twenty Tulsa-area schools. He also serves as the primary speech and debate coach at Will Rogers Junior and Senior High Schools. Another speaker will provide a new perspective on health! Dr. Jennifer K. Clark is a Healthcare Delivery Scientist providing a wide range of consulting services in the healthcare sector and educating as faculty at the University of Tulsa Institute for Health Care Delivery Sciences. As a palliative care physician and former chief medical officer of a large healthcare system, Dr. Clark has served in a multitude of capacities from the bedside to the boardroom. She has practiced Internal Medicine, Pediatrics and Palliative Medicine since 2007 and has been board certified in Hospice & Palliative Medicine since 2010. Dr. Clark has also received certification in Ayurveda, the ancient medical tradition of India. Her professional interests focus on innovative healthcare delivery, human evolution and development and the cultivation of vibrant living. Dr. Clark’s personal interests include spending time with her husband and two children, traveling, reading and cooking. Another performer will demonstrate the spirit of Ireland! Abigail Williams is a Freshman at the University of Tulsa studying Vocal Performance. She is an active member in Delta Delta Delta and sings in TU’s Choral Choir as well as a newly formed A Cappella group. She has a love for the performing arts and expresses her passion through Irish dance, ballet, and singing classical music. She has been dancing since she was three and singing classically since she was sixteen. In her spare time, Abby enjoys attending operas, musicals, and concerts in the Tulsa area. Her goal is to spread an appreciation for the arts through song and dance with every opportunity given. One of our performers will play a piece about conquering over-saturation! Weston Horn is the front man for regional band, Weston Horn & The Hush. This original eight-piece rock and roll band with a four-piece horn and brass section has met tremendous success since its creation in 2016. After having released a very successful debut album, they are in the midst of preparing to record a second later this month! Weston also co-created and co-hosts the Chasing Famous Podcast, which gives musicians the tools to make smarter steps on their path to success. In addition to his music, Horn currently serves as the Vice President of Infinity Investigations and Protective Services, an insurance fraud and private security firm, located in Owasso, OK. He served in the Air Force Auxiliary as a squadron cadet commander, was inducted into the Society of the Honor Guard, and was presented with the Gold Congressional Award from Congress. He graduated from Oklahoma State University with a Bachelor’s Degree in Business Management and Marketing as well as obtaining an Emergency Medical Technician degree from Rogers State University. Weston Horn has lives his life to enable people to believe that through art there is still a little good and magic left in this world. Another speaker will address the block chain technology and sustainable development! Mike Troilo is the Wellspring Associate Professor of International Business in the Collins College of Business at the University of Tulsa. Mike holds a Ph.D. in business economics and international business from the University of Michigan, an MBA and an MA in East Asian Studies from the University of Virginia, and a BBA in accounting from the College of William and Mary. His research focus on the effects of institutions including rule of law on entrepreneurial activity across countries, particularly in transition economies such as China. He worked as a consultant to the United Nations in the Asia-Pacific region, and he received a Fulbright grant to study economic development in Portugal. Mike teaches economic classes to MBAs, international finance and international management to undergraduates, and short-term study-abroad classes across levels. He has worked in a variety of accounting and finance positions throughout his career. He was a senior auditor for Arthur Andersen LLP and a cost accountant and pricing analyst for IBM Microelectronics Division. He served as a senior financial analyst for a British company investing in high-tech ventures and as a controller for an Internet start-up. He currently advises students who are trying to launch their own firms. Another speaker will talk about becoming a better global citizen! Lydia Cheshewalla is an Osage artist with a passion for community building and empathy training. For the past several years she has led women’s healing circles and more recently she co-founded the art collective Holy Mother, which serves to connect, encourage, and support femme creatives in Tulsa. Drawing from her Indigenous background and working with several artists and organizations within our community, Lydia strives to create meaningful experiences and generate inclusive narratives through thoughtful events and art. Currently she works as a teaching artist at the Philbrook Museum and is also a fellow with the Oklahoma Center for Humanities at TU, whose topic of exploration this year is memory. Another speaker will address how to tie the community closer together while helping the vulnerable! Kirk Wester is the Executive Director for Growing Together, a local neighborhood transformation initiative in Tulsa. Growing Together leads and plans collective actions from the resources provided by numerous organizations, residents, funders and stakeholders to change the trajectory of children in vulnerable neighborhoods. Growing Together focuses on the creation of three key components to their strategy: a strong education pipeline, mixed-income housing, and neighborhood vibrancy. Through their collective efforts in the Kendall-Whittier neighborhood and schools, they are beginning to see strong improvements in the outcomes of vulnerable children, demonstrating what it takes to expand this model throughout Tulsa’s most vulnerable neighborhoods. Another talk consisting of three speakers will address self-driving vehicles! Nathan Hutchins (Ph.D. in Computer Engineering from The University of Tulsa), Alison Kerr (completing a Ph.D. in industrial-organizational psychology at The University of Tulsa), and Sarah Otto (BSBA in Accounting and Computer Information Systems at the University of Tulsa) unite to form an interdisciplinary research team unlike any they have ever known. Their research is focused on understanding what influences people’s attitudes towards and acceptance of autonomous vehicles. The team supported Nathan’s dissertation research which included the development and preliminary testing of a model and measure of the aspects people care when it comes to self-driving cars. Their most recent work includes using virtual reality simulation to further assess participant reactions to a variety driving scenarios in which a self-driving car makes all decisions. The goal of their work is to inform the development of self-driving cars with respect to user interface, ethical considerations, and regulatory concerns. Over this last year, they have presented at several conferences and are currently preparing journal papers for publication. Another speaker will address teacher's protests! Maureen Haynes is a student at the University of Tulsa studying biology and sociology with a passion for interdisciplinary education. She has worked on political campaigns, at local nonprofits, in an engineering research lab and in an art museum’s education department. With a combined interest in research and education, she has performed qualitative studies on the narrative experiences of Oklahoma’s public school teachers. In her spare time, Maureen enjoys attending events in the Tulsa community, petting every dog she comes across, and is currently training for another half marathon. Another speaker will address the state of female incarceration! Another speaker will address our daily diets! 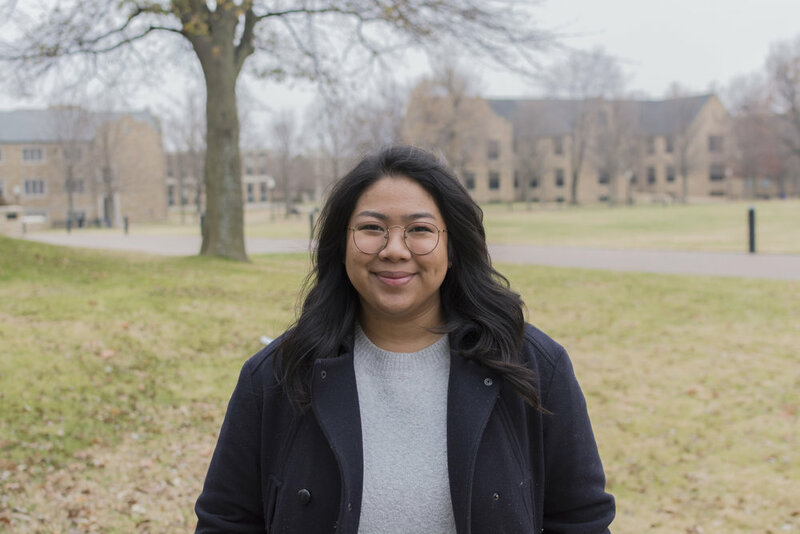 She is currently pursuing a Master of Arts in Professional Counseling with a Concentration in Addictions Counseling from the Graduate School of Theology and Ministry at Oral Roberts University, which is where she experienced ORU’s whole-person approach to education. This holistic approach, coupled with her personal recovery from disordered eating, inspired Tori to address both physical AND emotional health. She has been involved with the Miss Oklahoma Organization for over 8 years where she speaks to Pre-K through college students on her platform named MINDSET: Total Health. Tori enjoys volunteering in the Eating Disorders Program at Laureate Psychiatric Clinic, and she is working towards becoming a Licensed Professional Counselor for women with eating disorders. Another speaker will address the importance of prioritizing time and effort into the hiring process. A Senior Client Research Consultant at Hogan Assessment Systems, she holds a Master’s degree from the University of Tulsa’s Industrial and Organizational Psychology program, which was founded by Drs. Robert and Joyce Hogan, as well as a member of SIOP. In her role at Hogan, she works with organizations across the globe from a wide variety of industries, including many Fortune 500 companies within the United States. Her expertise includes high-stakes selection and development, product development, assessment translation and equivalence, as well as experience working with the Hogan Coaching Network. Karen has authored or co-authored numerous papers and is a regular presenter at conferences across the United States, including multiple sessions at the Society for Industrial and Organizational Psychology (SIOP) annual conference. As we head near the event, we will be highlighting our 16 speakers. Our first speaker is a Tulsa native looking to teach us all how black girls find their identity in their edges! Born and raised in North Tulsa, the most underserved and impoverished area in the city, Caroline Bennett is a two-time loan and debt-free first generation Black girl graduate of higher education. She obtained a Bachelor’s degree from the University of Oklahoma and a Master’s degree from Ohio State University. #Hoodid & #Hooded, and yet, she has been intentional about her work inside and outside of academic spaces. Her work as a scholar-artist for the past seven years has centered around the experiences and voices of inner-city youth, particularly Black girls. She disrupts the deficit-approach often employed when discussing, addressing and engaging our youth. Intentionally utilizes the vehicles of spoken word, song, research and story-telling to challenge education stakeholders’ “un”conscious investment in Eurocentric pedagogy and culturally incompetent restorative practices and its’ contribution to Black students’ traumatic experiences in K-12 public and charter school classrooms. Catherine Lynn Elizabeth Aaronson, the fifth is a student at the University of Tulsa studying Biology, Chemistry, and Creative Writing at the University of Tulsa to become future veterinarian. On campus she’s spotted wearing a jean jacket, talking about music, writing in highlighter, and drinking water out of a bottle covered in stickers. In highschool, through studying forensics, Aaronson found her voice in public speaking, performance, and spreading awareness for her beliefs. She would like to be known as the the girl with hair as big as her heart. "My poetry helps me marry what I know with what I experience." Autumn Slaughter is a doctoral student in the University of Tulsa’s clinical psychology program. Her psychology background also includes a masters in counseling psychology from Southern Nazarene University in Oklahoma City. In addition to psychology, Autumn also studied English in her undergraduate program at Olivet Nazarene University in Bourbonnais, IL. She has been a featured poet at poetry readings in Oklahoma City and Tulsa, and her work has appeared in regional magazines and on websites. Autumn has also published five books, including a memoir that explores trauma and depression (published under her maiden name) and two books of poetry. Autumn will be performing spoken word.